Visit Farsund and the Lista region in southern Norway. Located on the southern coast of Norway, the peninsula of Lista has the best beaches in southern Norway for surfing and bird watching. Farsund is also known for an exciting history of piracy dating back to the 1800's when the locals fought the invading British ships during the Napoleonic wars. And the region has close ties to America due to extensive emigration in the 50s and 60s. This is celebrated during the annual American Festival at Vanse. City life in Farsund, lots of great festivals, american heritage, birdwatching, bathing or surfing along the beaches. Hiking possibilities are superb, with many well prepared footpaths. There are fishing opportunities in many areas, both inland and at sea. There are camping, hotels and apartments available in Farsund. Find a place to stay overnight and accommodation in Farsund. 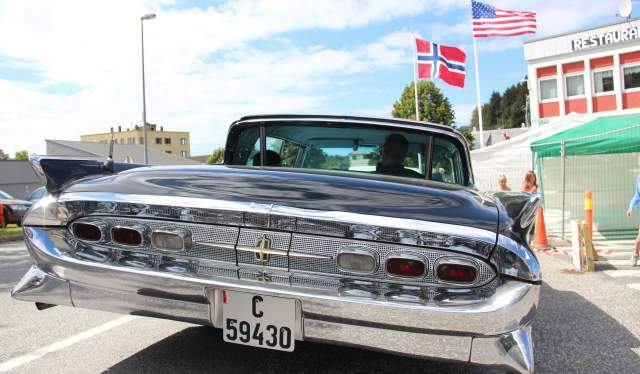 Southern Norway's biggest American music and dance festival is in Farsund, Norway. Learn about piracy and pirate history of Southern Norway at the pirate festival in Farsund. Lista in Farsund, Southern Norway has good surfing, windsurfing and kitesurfing beaches for both experienced and beginners. Take the family and have a picnic at the Lista beaches in Southern Norway. See what&apos;s going on in Farsund. The uniquely varied cultural landscape also contains ancient tracks dating back to the Neolithic period. The municipality is one of the richest in terms of historical relics. You will find petroglyphs at Penne, near Nordberg Fort and lots of World War II history in the area. Car: To get to Farsund from Stavanger, Kristiansand or Oslo, visitors need to use the E39 highway. From Oslo the journey is 5.5 hours, from Stavanger 2.5 hours and from Kristiansand 1.5 hours. Bus: There are no buses that go direct to Farsund from Stavanger and Kristiansand. The Lavprisekspressen goes from Kristiansand to Lyngdal which is 20 minutes from Farsund. Norway Bussekspress also has a route from Kristiansand to Flekkefjord or Lyngdal and Stavanger to Flekkefjord or Lyngdal. Train: There are no trains to Farsund but the train from Stavanger to Kristiansand stops at Snartemo which is 40 minutes from Farsund. Air: There is an international airport at Stavanger and Kristiansand. At both airports there are car hire services. There are two Norwegian Airlines that operate international flights from these airports including Widerøe and SAS. Click on the appropriate box to find the various locations on the map. If using a mobile device, you will see a red icon to show the map location.